As I noted in Pirate Latitudes: First Impressions, the novel does not have a bibliography. 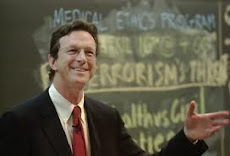 When I read a novel by Michael Crichton, my curiosity is sparked about the reality behind the story, and I usually start reading some of the nonfiction books Crichton has listed in the bibliography. But this time we’re on our own. Like The Great Train Robbery, Pirate Latitudes has its roots in actual historical events, and many of the characters appear to be based on real historical figures. And it’s not surprising that Crichton got the history right. This excellent book is the story of Henry Morgan, who I believe was the model for the character of Captain Charles Hunter. The book examines how economics explains and determined the actions of Caribbean pirates in the 17th and 18th centuries. Cordingly is a maritime historian who served as historical consultant for the film Pirates of the Caribbean. This book tells the story of the end of pirating in the Caribbean. Woodes Rogers was once a privateer himself (as was Henry Morgan), but political changes in Europe necessitated an end to the use of privateers, and many of them turned to piracy. Rogers was given the task of reining the pirates in. Little was a Navy SEAL and is an analyst for the Naval Special Warfare Center Strategy and Tactics Group. First published in English in 1684, this book was written by an insider. Exquemelin served with Henry Morgan, and after the book was published, Morgan sued the author because Exquemelin called Morgan a pirate. Morgan successfully argued that he was a privateer, acting under government commissions which made his acts lawful. The book explores the development of the British navy, which used privateers as the bulk of the Navy in the 16th and 17th centuries, but phased out their use as the country constructed its own fleet. When Russell Crowe got the lead role in the film Master and Commander, his friend Jodie Foster gave him this book as a joke. But Crowe said, while he read other historical and academic books about sailing ships in the Napoleonic era, Sailing for Dummies proved to be an excellent overview and review of the basics.